I’ll never forget that brutal morning of January 24, 2008. The dashboard clock read 6:30 a.m., and the deep, black night seemed uninterested in conceding its icy grip. The darkness only magnified the glowing temperature display as it shouted 18 degrees below zero. It was going to be a long day. This was the scene as my wife and I began our third trip in as many years to be fingerprinted again at the US Citizenship and Immigration Services office in Naperville, Illinois, one of the many requirements for adopting our daughter from China. Despite the fact that fingerprints are as permanent as a Chicago Cubs fan’s loyalty, the Department of Homeland Security declares them expired 15 months after being printed. Just to be sporting, before our trip, I called the department for an explanation of this rule. I eventually spoke with an actual human who clarified it quite succinctly: “Umm . . . I don’t know why. That’s just the policy.” Well, there it was. I felt much better about traveling for another three hours to spend another $200 to confirm our fingerprints hadn’t changed! We had officially started our adoption journey by applying at a local agency in October 2004. The next several months were spent gathering entire forests of paperwork, documenting everything from what our childhood was like to how well the local police department “knew” us. Since my wife was finishing nursing school, we took more time than most to collect all of our documentation. Finally, on December 16, 2005, our plethora of paperwork arrived at the China Center of Adoption Affairs in Beijing. 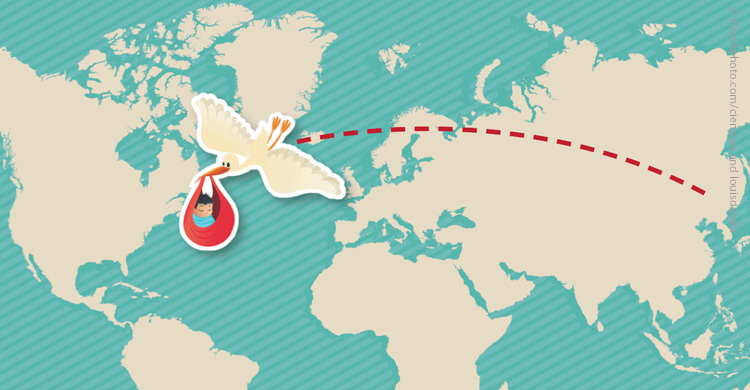 When we started this process, the waiting period between the arrival of a couple’s dossier in China and the arrival of a referral from China (introducing the couple’s new child) was only six months, so we fully expected to bring our new baby home by the summer of 2006. However, as Blessed Teresa of Calcutta once said, “If you want to make God laugh, tell Him your plans.” We certainly gave God a good chuckle during our adoption journey, as we developed a serious case of “wait” gain! Due mainly to the increased number of people wanting to adopt from China and the CCAA not ncreasing the number of children available for adoption, our six short months grew to a tough 24. During this excruciating time, in addition to our fingerprinting trifecta, we also had to renew our formal request to bring an orphan into this country. I looked up the word “renew” in the dictionary and learned it’s a French word meaning “to write a large check.” And that we also had to do again. We felt not only as if we were throwing money down the drain but also as if we literally had to put our adoption money into the sewer, thanks to the untimely demise of the sewer line in front of our house. And we had to reproduce several other documents as they expired, including one that was notarized with a stamp that didn’t have a box around it, rendering both the stamp and document invalid. Boxless stamps must be what terrorists use when they notarize! On February 18, 2008, in a drab conference room in the middle of a city I’d never heard of on the other side of the world, I gazed at the beautiful new daughter in my arms whom I had waited so long to hold, and I learned another lesson I will never forget: You can’t outgive God. Once, while we were grocery shopping, Ava had been hopping, skipping, smiling, dancing, and singing her way through the entire store in her usual high-energy, perpetual-motion way. An older gentleman approached us as we headed to the checkout line to tell us it gave him so much joy to see her so full of joy that he just wanted to say thank you. I say the same thing to the Lord every day. Jeffrey Hoskins writes from Rock Island, Illinois. Married for 22 years, he and his wife, Renae, have three children. Jeffrey is active in his local parish and has been a weekly adorer in his parish’s perpetual Eucharistic adoration chapel for over 12 years.